It was a big day at E3 Sunday with Bethesdas’s Press conference where they reveled the next few games they will be releasing and working on over the next coming years. From Fallout to Elder Scrolls VI their presentation was pack full of goodies for us all to drool over. Hate, Fear, and the need for Survival. Moving on from there they announced smaller games like the new Elder Scrolls Legends expansion, Elder Scrolls Online: Summerset, and Elder Scrolls Blades; a fully fleshed out Elder Scrolls mobile game releasing fall 2018. and our never ending quest to bring the message of F**k Nazis to every platform possible. Tod Howard comes out on the floor to show us what him and his team has been working on over the last few years, the moment we have all been waiting for, Skyrim on yet again a mother system. This time you can play it on all of our favorite system. 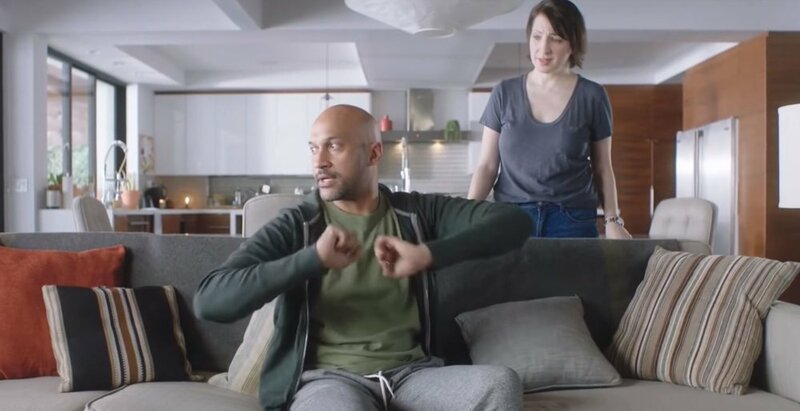 Amazon Alexa. Thats right ladies and gentleman Skyrim is finally coming to your home, no longer do we have to sit down with a controller in our hands, we finally have Skyrim in voice forum. To play you just have to say ‘Alexa, “Fus ro Dah” and off you go. But seriously, now into the announcement that we all came here for; Fallout 76. Bethesda’s next in house Fallout game. No this is not the next Fallout game in the series. This is the first prequel in the Fallout series. Taking place 25 years after the bombs drop. We are opened up to a solider in a suit of power armor watching the first bombs drop, cutting to a time lapse image of three vault dwellers walking over the power armor, the last being the player model we saw in the teaser trailer, which we assume to be the player we will be able to play as. Following that we see some gorgeous scenery from the game with our player model walking through towns, mines, and forests that we will be able to explore in the game. 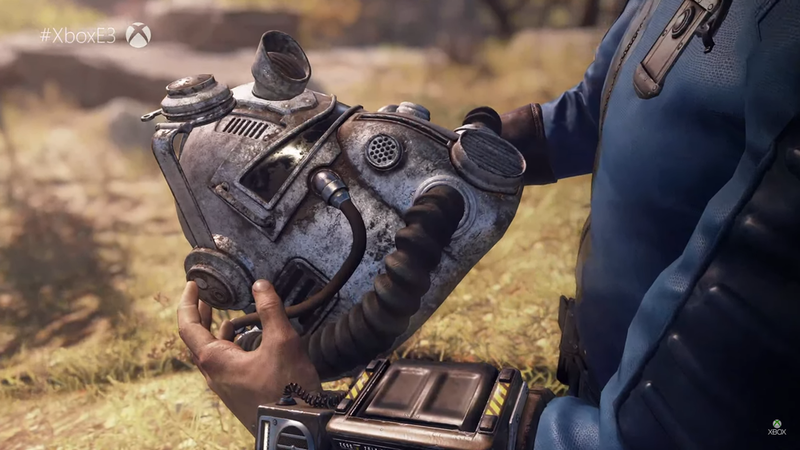 Going from there we are shown actual gameplay from the game and Tod Howard confirmed that this will be the first ever, online Fallout game where you will be able to play with your friends. Which is huge for us Fallout fans. This being the first ever open world online only game from Bethesda Softworks raises concerns about online play at launch. Lucky for us, they will be having a Beta that will be playable sometime between meow and the games release on November 14, 2018. We will probably hear more about the beta later this summer around the end of July or the beginning of August knowing the usual time games go into the beta stage of production before they launch. Tod Howard had two things to follow up on before they closed out the night. Their next game ‘Starfeild’. 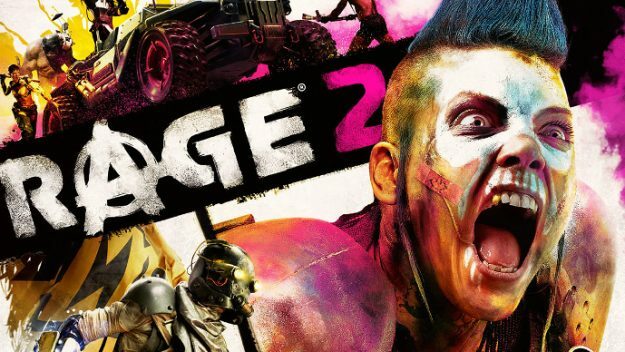 The rumored or ‘leaked’ project that we have heard about for the last few year, but now with official confirmation of the game and a short 10 second promo of what looks like a open world space setting for the new game all we can do is speculate meow until we get some sort of trailer or gameplay elements which we will probably see next year at E3. 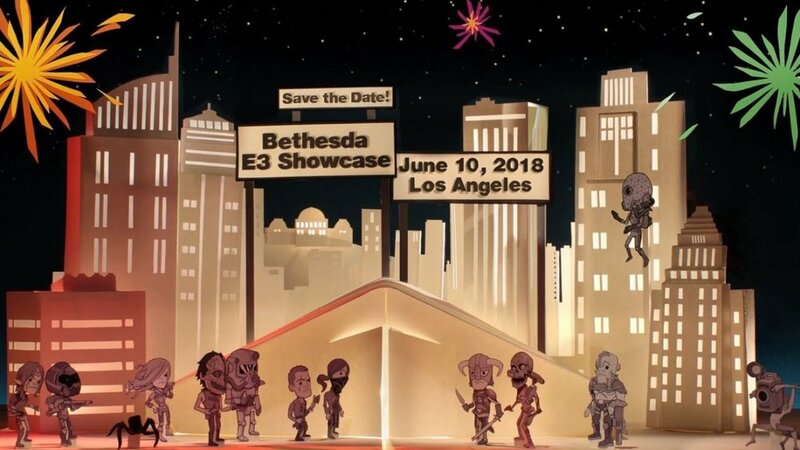 Thats right, before Tod closed out the night there was one more thing on Bethesda’s list of announcements after the longest Bethesda press event in their history they had just one more announcement to give us. In typical Bethesda fashion they closed out the night with their final announcement, after us waiting meow over 10 years for the next installment we will finally be getting Elder Scrolls VI. 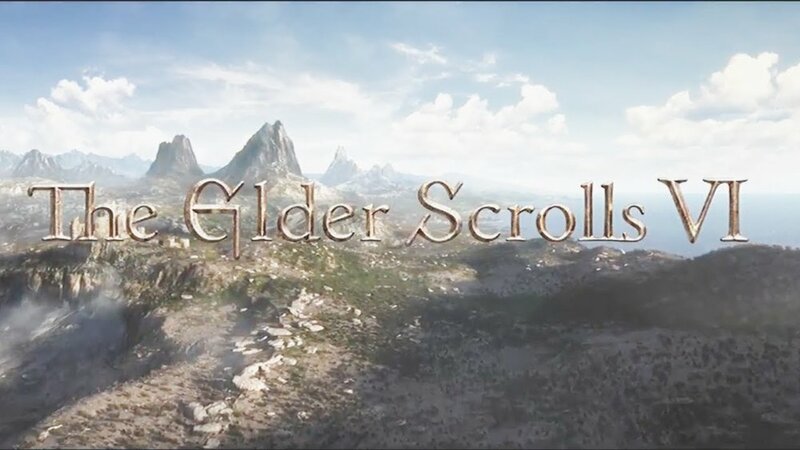 We are treated to a short clip of a sweeping landscape that in itself is absolutely beautiful in its own right of the next Elder Scrolls game. Tod explains, that this game is officially in preproduction and on its way into the production phase within the next few months we cant help but to get excited for what is to come from all of our favorite game developer, Bethesda. Closing out the Night Tod walks off stage the crowd amazed and excited for what is to come.